Olympic Winter . 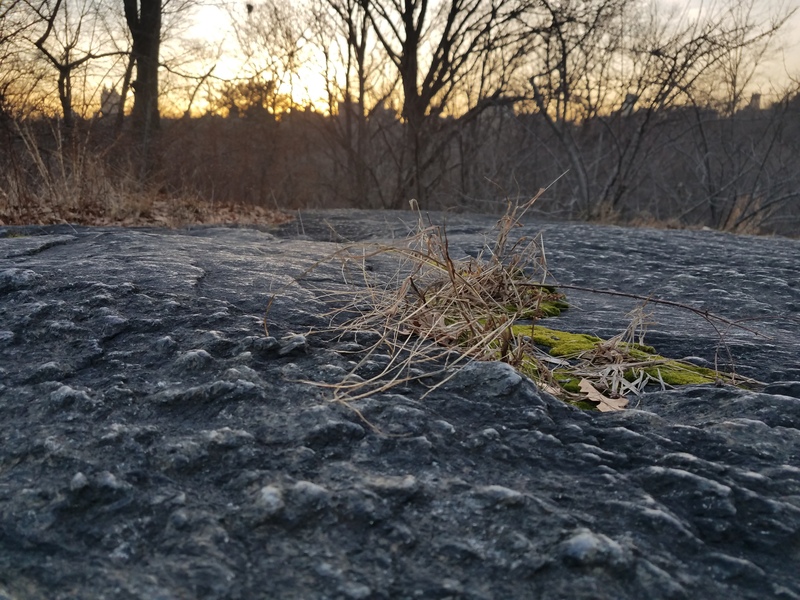 . .
February weather in the American northeast often experiences a string of damp mild days followed by a day or two of sun, clear sky, and very, very gradual temperature drop. Winter Olympics in mind; I set out in such weather on my own biathlon of cross-country running and tenkara fly fishing, dressed for movement during the afternoon of Mardi Gras. 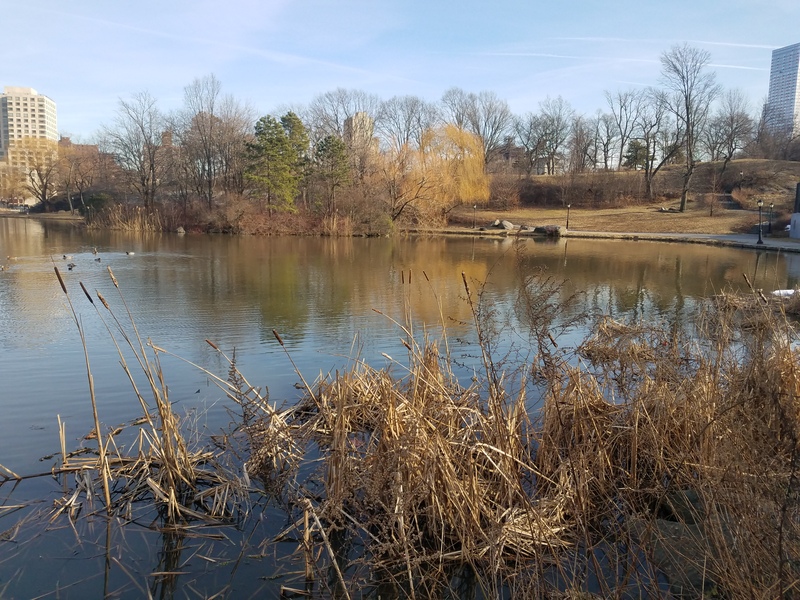 I arrived to the welcome sight of open water over all but one end of the Harlem Meer. 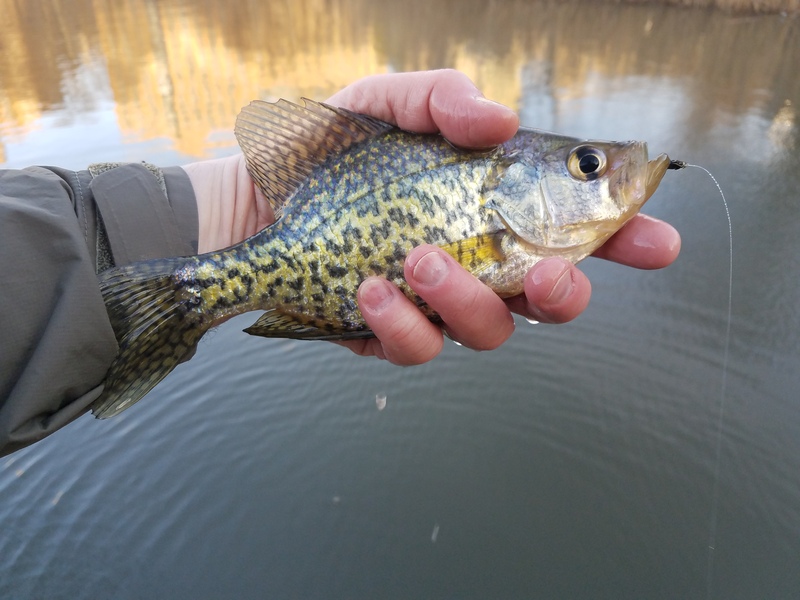 Ice-free plus kebari equals fishing. My one fly kebari for the day,: the Herly Werm, a size 12, weighted, fished in slow lifts until late in the afternoon when wakes, chasing swirls, appeared from motion just below the surface of the Meer. The sun had turned to orange and the evening feed was on. 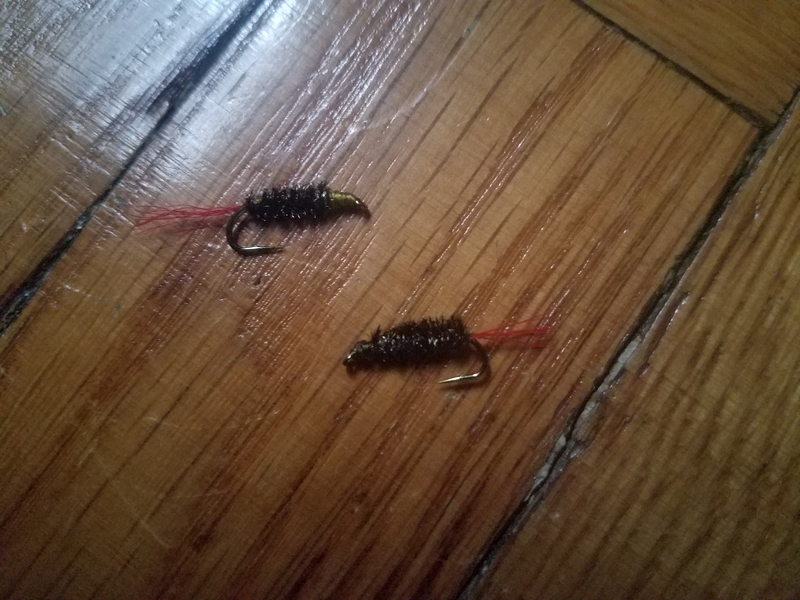 I began to swim the nymph, dressed with a red bucktail. Connection was made. The limber 5/5 action of the Ebisu rod, my favorite, the one each season I fish first, helped me to wrestle with the one hooked now to the Herly Werm. 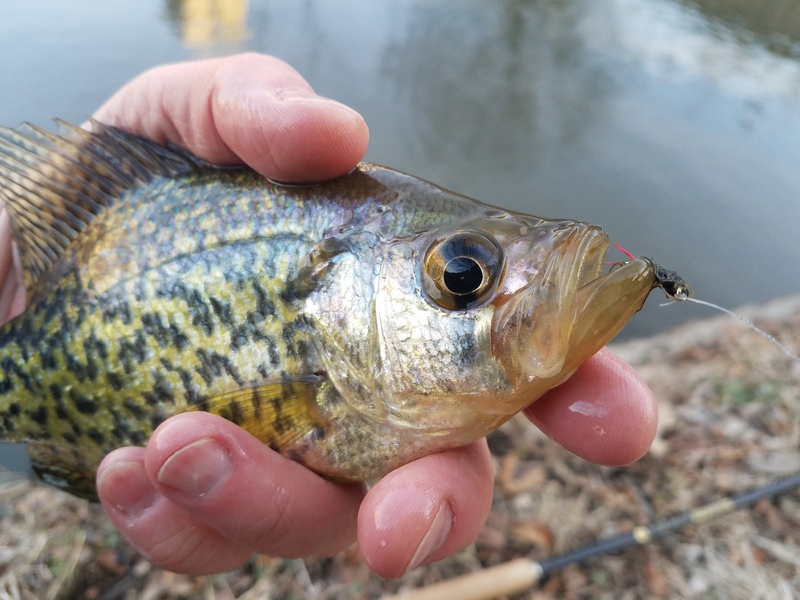 Surfacing and diving in repeated short runs, the profile of a sizeable crappie dressed in silver and gold and scattered patterns of black, like metal, a medal of tarnished electrum, fresh, the sight and solid feel of the first fish of the year. The chilling intermittent breeze faded from concern as I slipped the fish back into the water. I stood, and shivered, satisfied. I packed up and set out on the return run toward the high ground of Central Park to watch a sunset the color of Olympic Gold.